For the second year running, I draw on an April Fool story as inspiration for an Editorial. Last year's story related to the establishment of a World Intellectual Property Court; this year's featured the announcement that the functions of the UK's Intellectual Property Office were being outsourced to India. Reactions to the story were telling. While some people recognized instantly that it was no more than a harmless piece of fun and rejoiced in it, some angry responses were received. These included complaints that it was not proper to make fun of the Intellectual Property Office—which has already been relocated from high-rent Central London to economy-rich Newport—at a time when public spending cuts are under review; that the subject should not be raised in case it inspires the government to take such a step; and that it was disrespectful towards Indians to suggest that the outsourcing of any IP-related administrative activity to India was a joke. Not all correspondents were angry: some (mainly IP owners rather than their representatives) said that anything which reduces the cost of the patent system to its users should be welcomed. The nature and the extent of the reaction suggested that the outsourcing of the patent examination and grant functions is not far-fetched and that—whether it is to India or anywhere else—it is an outcome which is feared by many people who use the system regularly. First, the desirability of outsourcing patent office services depends on what one regards as the portfolio of skills which an IP office is expected to bring to bear at the behest of its users. 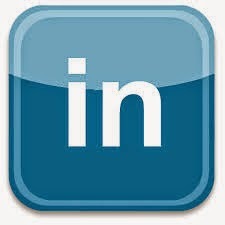 Some skills are relatively mechanical, such as reviewing relevant prior art, while others depend upon a degree of judgment and experience, such as the sort of advisory role which increasingly the UK's office (among others) seek to play in providing sage counsel for small- and medium-sized users and would-be users. The mechanical roles are more portable, the others less so. Secondly, as IP offices increasingly cooperate with one another, the ease with which one may fulfil the role of another increases. Bilateral and multilateral initiatives such as the Patent Prosecution Highway (PPH) are likely to accelerate this trend. 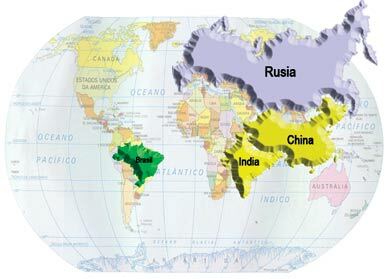 While no country from the developing world, nor even any BRIC (Brazil, Russia, India, and China) jurisdiction, has yet signed up to a PPH venture, it is difficult to imagine that the early signs of mild success will not trigger further arrangements that will smooth the interoperability of the world's examination and grant facilities. And to the extent that this happens, outsourcing of shared services from a more cost-heavy economy to one which is less so may gain in its appeal. Thirdly, continued technological and informatic developments make it increasingly easy to implement any form of complex outsourcing of technical and administrative functions. Internet access and cloud computing have long ago bypassed the old notion that each national office has to have its own databases of local patent applications and prior art physically present in its own territory; free or low-cost instant communications enable offices to engage in real-time dialogue, while digital technologies ensure the instant transmission of text and images, only a couple of decades after the grinding sounds of the old analogue fax machine were welcome music in the ears of patent examiners everywhere. Fourthly, we have increasingly come to accept both the internationalization and the globalization of IP grant, exploitation, and enforcement. While the patent was once a consequence of the exercise of a monarch's royal prerogative, and thus inherently national, it is now far removed from its historical roots—a property right to which its owner is entitled by his status as an inventor or his contractual right as the inventor's employer. Some scope for purely national interest will always remain, as in the case of the trade mark where national offices are the guardians of cultural as well as commercial considerations. But we live in a new era now and we must be prepared to evaluate every suggestion on its merits, however formerly unthinkable it might have been". In the early days of the EPC coming into force the European Patent Office outsourced examination in some technological areas to the UK Patent Office (sic). The arrangement was very satisfactory but only lasted for ten years. I wish the Daily Mail (my guilty pleasure) had fallen for the joke and reported it on their website. Would have been hilarious to see the comments by their users, especially the BNP fans.